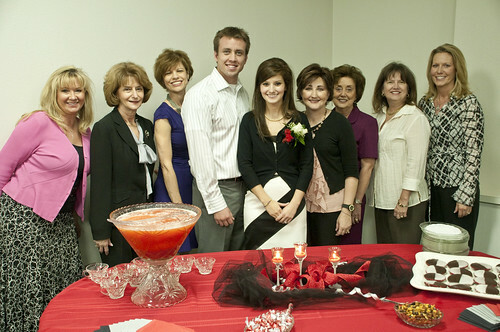 The shower hostess group I belong to at church got to host a wedding shower last week for a special couple named James and Jenna. After learning the bride’s colors were red, black and silver, my imagination went crazy. What could we serve that would taste good, be a little different and still carry out the color scheme? We wanted something totally off-tradition. We have a reputation for going against the grain. For example, we’ve done a pie bar, mini-bundt chocolate cakes and Gooey Chocolate Cakes with Coffee Ice Cream in the past. 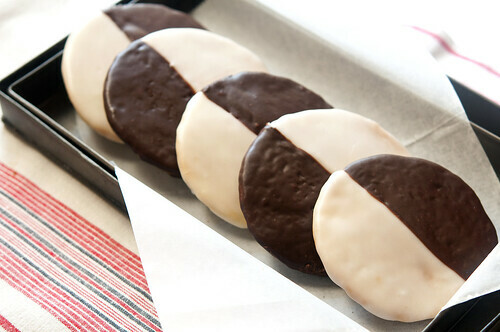 Then I remembered a post I published recently on Black and White Cookies–the traditional kind with white batter and a subtle lemon flavor. How would they taste if I used a red-velvet-cake-kind of recipe instead? I set to work experimenting with my original recipe. After what seemed like at least 100 bottles of red food coloring, this is my recipe for Black and White Red Velvet Cookies. The frosting is the same for both cookies. 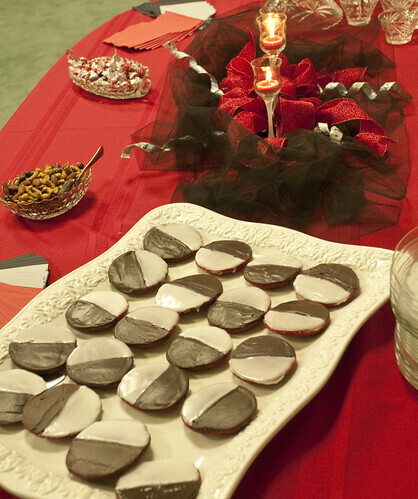 These gorgeously-colored red cookies with a cake-like texture have a mild chocolate flavor with the barest hint of almond. One of Helen Corbitt’s (a strong influence from my past) favorite tricks was to dip her measuring spoon in almond extract before measuring out the vanilla. I do this a lot (sometimes more than a dip), especially in ice cream and pudding but also anything chocolate. My friend Debbie (second from the right in picture below), the leader of our hostess group, offered to help bake since we estimated needing at least 45-50 cookies. Saturday night before the shower we produced 3 batches and slathered chocolate frosting on one side leaving them to dry overnight. I woke up nervous that we didn’t bake enough so I hopped out of bed early Sunday morning before church to make another batch. At this point, the cookies started to take over the kitchen and dining room and I began feeling like a big blob of frosting. Cookies seem to explode in my dining room. We made them big since they would be the main event with sides of nuts, mints and punch. Each batch produced 14-16 cookies using two ice cream scoops for each cookie. Of course, we had some rejects and a few had to be taste-tested by the husbands. Hostesses pose with the happy couple. This shower was special because both the bride and groom grew up in our church so their parents have been friends for a long time. As you can imagine, guests and gifts were plentiful to honor this special time in the lives of James and Jenna. May God bless their marriage. 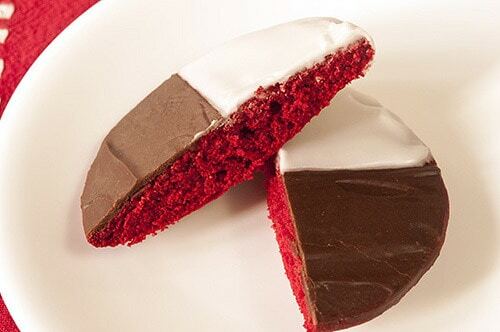 The traditional black and white cookie gets dressed up in red velvet. Fun for Christmas or Valentine's Day. 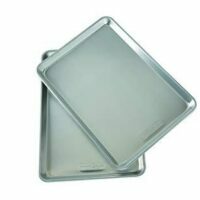 Spray cookie sheets with vegetable oil or cover with parchment paper or silicone baking sheet. Beat butter until smooth and light in color. Add sugar and continue beating. Add in egg and beat until light and fluffy. Add flavorings. 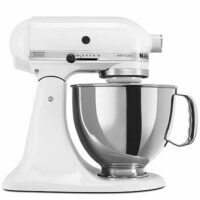 Gently add flour mixture alternately with the buttermilk or yogurt, combining just until mixed. Combine cocoa and red food coloring in separate bowl, stirring until smooth. Add to cookie dough and mix thoroughly. Using an ice cream scoop, dip cookie dough and place on tray. These cookies with spread out a lot so give them plenty of room. Using an ice cream scoop gives the best chance of producing a perfectly round cookie. Bake in preheated oven for 10 minutes. Cookies should be only light brown on the bottom. Remove baked cookies from tray immediately and allow to cool on a rack. If cookies cool on baking sheet, the bottoms will get soggy and give you crumbs when you get ready to frost. Microwave chocolate and butter for 1 minute. Stir to enable complete melt without scorching. Add in sugar, boiling water, syrup and vanilla. Beat until smooth. If glaze gets too thick to spread evenly, add a few drops of boiling water. Add hot milk to confectioners’ sugar and stir until smooth. Add remaining ingredients, stirring again until smooth. If glaze gets thick, add a few drops of hot milk. The frosting traditionally goes on the underside of the cookies. 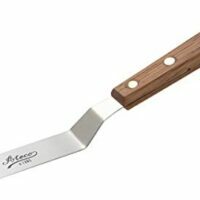 It's easier to get a smooth finish if you use an offset spatula. Be careful not to use so much icing that it drips off the side and looks messy. Experiment with the consistency of the icing so it is neither too thick nor too thin. Frost half of each cookie with chocolate icing. Use the long side of your knife to straighten the icing along the middle. Allow to dry. Now frost the other half of each cookie with the white icing, carefully butting the vanilla icing up against the chocolate icing. Allow to dry before storing or serving. Honestly, frosting these cookies takes a bit of time but with practice it goes much faster. Makes 21 "baby" cookies or 12 hugemongous cookies if you want to be more authentic. Oh my, these are really delightful! I love that the inside is red. those cookies look so good and festive for the holidays too, great job. Hm…. what a great way to use Red Velvet! That’s on my list for this holiday season, but I might just make these cookies instead! How wonderful for the shower – and what a terrific photo – of everyone! The presentation looks fantastic, I’m sure everyone loved them! Paula — these are stunning!! What a wonderfully creative twist on a NY classic…perfect time of year for them, too! I am sure they were a hit with the guests–beautiful job. Those look really great, Paula! 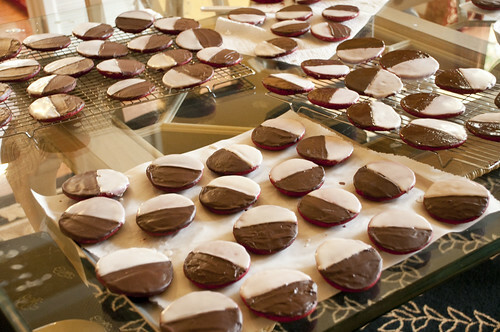 The picture of these black and white red velvet cookies is by far my new favorite! What great-looking cookies! You all did a great job and I’m sure the happy couple was thrilled with their colour coordinated cookies. Oh, these are beautiful! And, I think I’m going to have to steal your idea (God will forgive me. 😉 My daughter is getting married next April and loves red velvet cake. I was looking for some type of ‘favor’ to send home with the guests after her shower — and I think this would be perfect! Beautiful shower and the soon-to-be Mr. and Mrs. are adorable! What a great cookie and a perfect to cookie to honor such a joyful occasion. I hope you submitted that second picture to Tastespotting or Foodgawker. It’s beautiful! those are stunning! and what a lovely shower gift! The insides of the cookies are as stunning as the outside. You are very creative and I think the fact that your church has a hostess group for showers is lovely. The happy engaged couple certainly look pleased with all of your efforts. Great photo of you Paula! I love unpredictable and surprising and coming from Paula’s kitchen, I am not surprised these turned out beautifully. Your dining room table looks so fun decked out with all of those cookies! Very festive. Look at the color you got in those suckers! RED! I am really impressed! I love the simple elegance these cookies bring! I must keep this idea and recipe in my file.